A low-stress introduction to GIS Forget everything you've been told about geographic information systems. 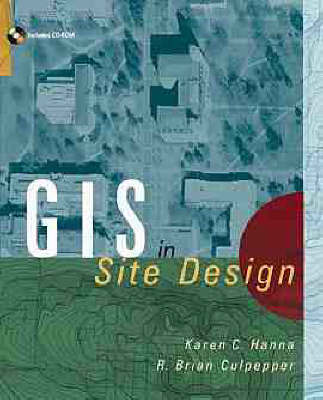 Today's simpler, less expensive, and far more refined GIS software can be operated on a PC or Mac, and in this book you'll discover a new approach to GIS site design and land planning that makes the entire process easier, faster, and more designer friendly. GIS in Site Design demonstrates how to use GIS the same way you would work with tracing paper and markers. The only difference is that now you'll be meeting your clients' needs to employ GIS data and deliver products in a GIS environment. The companion CD-ROM contains a tutorial library of all the GIS data in the book. Using techniques explained on the CD to model your own drawings, you'll learn to use GIS for: Landscape architecture, site design, and land planning Visual resource analysis Design of large sites--subdivisions, golf courses, parks, campuses, and more Design of linear systems such as greenways, trails, and riparian restorations GIS in Site Design is an indispensable resource that will help you master this increasingly important tool and gain access to larger and more challenging site design projects.